The Durham County Detention Center is located at 219 S. Mangum Street in Durham, NC across from the Durham Performing Arts Center. The facility is accessible immediately from the Durham Freeway (exit 12B) with a public entrance near the corner or of Mangum and Vivian Street. 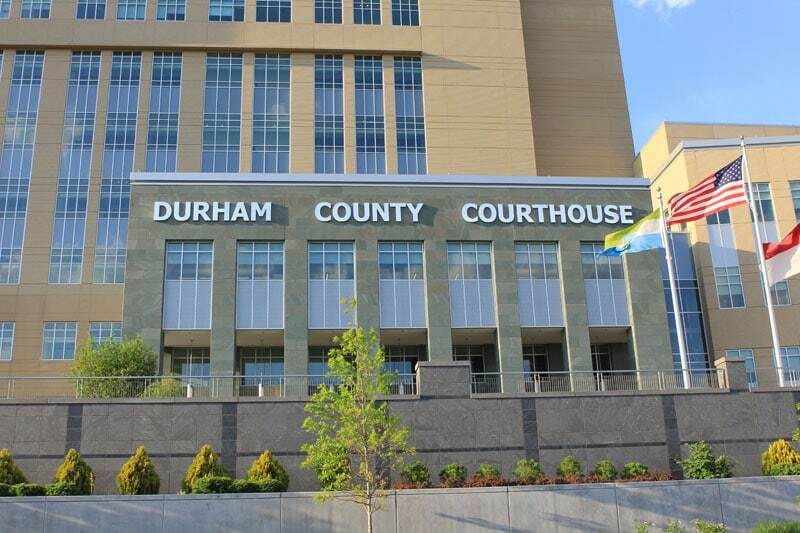 Visitors may park in the Durham County Justice Center parking deck adjoining the recently constructed Durham County Courthouse at the intersection of Roxboro and Dillard. 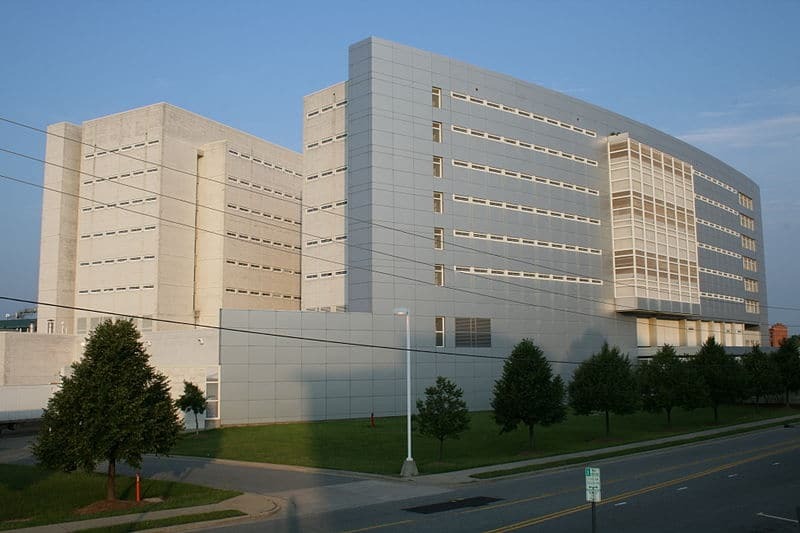 Durham County Jail was constructed in 1996 as a New Generation Direct Supervision Jail. The 736 cells house arrestees awaiting trial and some NC Department of Corrections prisoners whose classification is determined by a behavior assessment. Inmate’s activities are controlled through direct, constant supervision and limited inmate movement made possible by the building design. As part of the new model, all services are delivered directly to the inmate, as opposed to transporting the inmate to the service to increase safety and reduce the need for staff. It houses the Sheriff’s Department, District Attorney’s Office, the Clerk of Superior Court and Public Defender’s Office. Lower levels of the building are used to try traffic court and minor offenses while higher levels are reserved for more involved proceedings. To get to the courthouse from the jail, take Mangum south and make a left onto South Dillard Street. The Durham County Justice Center Courthouse is located at 510 S. Dillard Street Durham, North Carolina 27701. The new Durham County Courthouse faces south of the jail and is the most recent addition to the Justice Center complex and is in walking distance of the jail. The $119 million, 11-story structure facility boasts an array of new features such as wireless internet, a vegetated roof for recycling run-off, bicycle parking and an energy-efficient south facing window design that optimizes natural daylight for use inside during business hours.